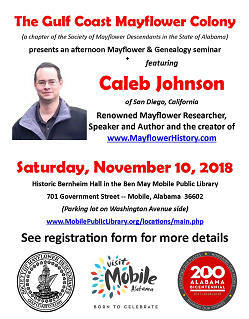 The Gulf Coast Mayflower Colony is a chapter of the Society of Mayflower Descendants in the State of Alabama affiliated with the General Society of Mayflower Descendants in Plymouth, Massachusetts. 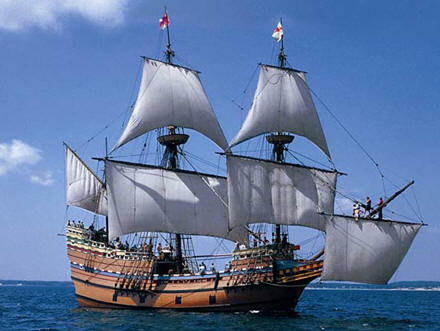 Our members have all demonstrated direct descent from the Pilgrim passengers who bravely crossed the gale-ridden Atlantic Ocean aboard the Mayflower in 1620. 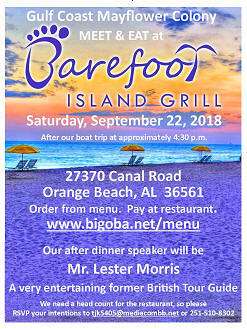 The Alabama Society welcomes inquiries and appreciates interest in our activities and publications. We have organized as a society to commemorate the story and the spirit of these brave souls who had such strength in times of adversity. 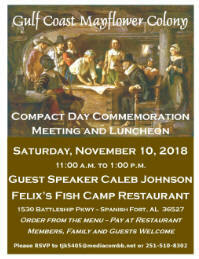 Beginning with the signing of The Mayflower Compact, our ancestors created the first English settlement in New England as a self-governing community founded upon democratic principles. Parking lot is on the Washington Avenue side. 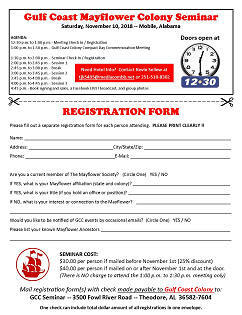 Registration/Sign-in is at 1:30 p.m.
First session starts at 2:00 p.m. 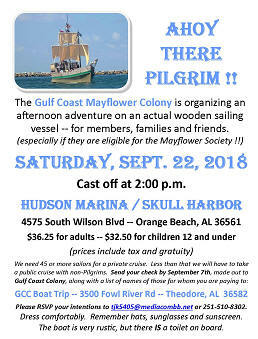 The Gulf Coast Colony serves current, pending and potential Mayflower Society members and their families across south Alabama. We also have Colony members all along the Gulf Coast as far west as New Orleans, as far east as Tallahassee and all points in between.